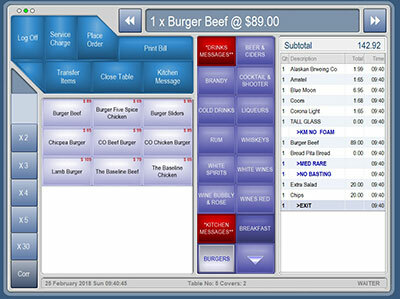 Our Point of Sale for Restaurants offers full stock control, debtors, creditors, recipe and staff management to manage your entire restaurant alongside all the great features that are required to keep you informed on what is happening in your business. With our dedicated and qualified staff over 20 years of combined experience we can supply you with the necessary tools to run your business. From a small coffee shop to a large resort Platinum Point of Sale for Restaurant has a solution to suit your requirements. With over 15 years of POS experience you can be assured your business in the right hands whether it be technical support or consulting we will help your business grow in the right direction. All our experienced and dedicated staff have experience within the retail and hospitality trade therefore we understand the importance of ensuring your POS system is running smoothly always.